DAVID LE/Staff photo. 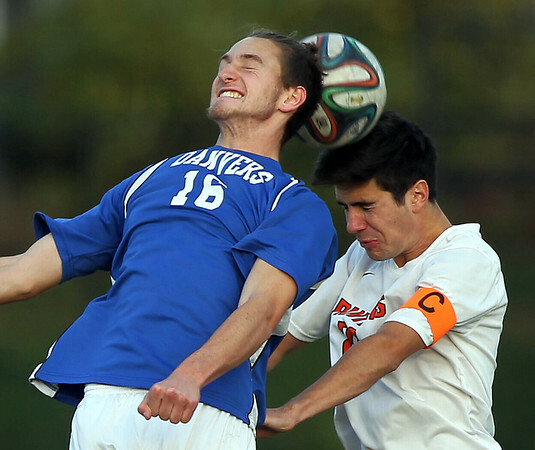 Beverly captain Christian Goodwin (20) wins a header just behind leaping Danvers forward Jackson McPherson (16). 10/29/15.